Located between the Iowa State Capitol and the Des Moines River in downtown Des Moines, the East Village is highly-accessible by car, bike, bus, or foot! From Interstate 235, take Exit 8B – East 6th St. Go south on East 6th into East Village. From Downtown, take Grand, Locust, Walnut, or Court Avenue east across the Des Moines River. 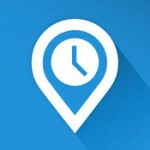 Tip: Need an address for your GPS? The epicenter of the East Village is 500 East Locust, Des Moines, IA 50309. Over 1000 on-street parking spots are available in the East Village. Meters are enforced Monday thru Friday from 8 a.m. – 6 p.m. All meters accept coin and many accept SmartCard and Visa and MasterCard. The meters that accept credit cards can be found in the core of the East Village with the silver tops. The duration of the meters can be determined by the sticker on the street facing side of the meter. Free parking is available in the State of Iowa Parking Garage at Grand and Pennsylvania Ave. Access the garage from Grand Avenue or Des Moines St. Free on-street parking is available both north and south from the main commercial areas. The new City of Des Moines parking garage located at E. 2nd and Grand will open in September 2017. 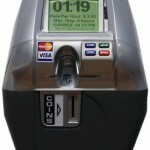 More information about downtown parking at DowntownDesMoines.com. 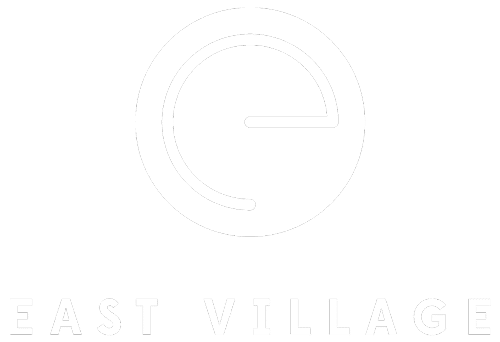 East Village is connected to the extensive Central Iowa trail system via the Principal Riverwalk, Walnut Street bike lanes and local streets. Visit BikeIowa.com for links to Central Iowa trail maps. Bike sharing is easy is easy with B-Cycle! Pick up a bike at a B-Cycle station and return near your destination. With three stations in the East Village and others scattered on the west side of downtown, it’s quick and affordable to get around for errands, lunch or leisure. More information at B-Cycle! The free downtown shuttle connects several downtown neighborhoods, hotels and attractions, including the central business district, Gateway West, Pappajohn Sculpture Park, East Village and State Capitol. Many attractions, including Court Avenue and Iowa Events Center, are a short walk from D-Line stops. Service runs Monday–Friday from 6:30 a.m. – 6:00 p.m and Saturdays from 10 a.m. – 5 p.m.
DART routes 1 and 4 provide service to the East Village. For more information, including route maps and timetables, visit DART. The East Village is an easy stroll to most downtown attractions. It’s approximately a 15 minute walk from the core of downtown at 6th and Locust to the heart of the East Village at East 5th and Locust.